Another Successful KDO, Another Successful Heel Turn. 7:30 am: Left the house an hour before my first class, fearing that I’d get stuck on I-81S again. Thankfully, there was absolutely no traffic at that hour, which consequently made me 45 minutes early to campus. Made my way to the classroom and thought I’d knit on the Norfolk Ramblers a bit, but instead, chatted with other early birds until class began. Shadow Knitting was a lot of fun, and easier than I thought. It might be a little tricky for me to create my own illusion patterns, but at least I’m more familiar with the technique now. 11:30 am: Lunch! Gotta hand it to the KDO Organizers, they treat their students REAL WELL. The food was excellent! Beautiful display - rustic and homey, it just draws you in. 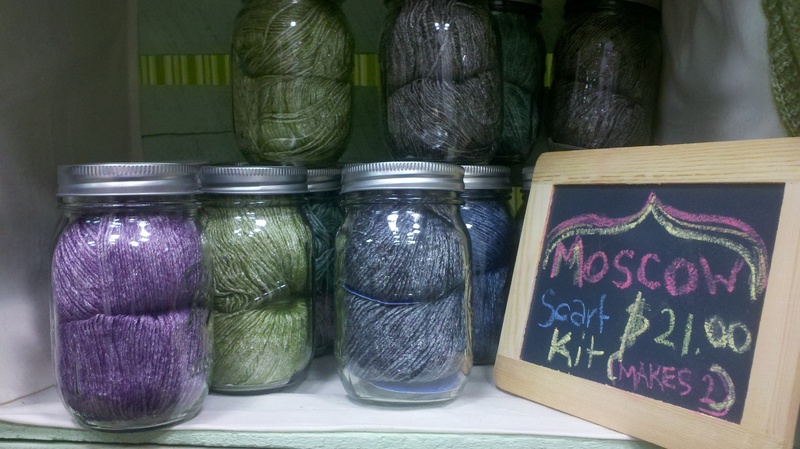 Sweitzers had their yarn in Mason jars... I love it! 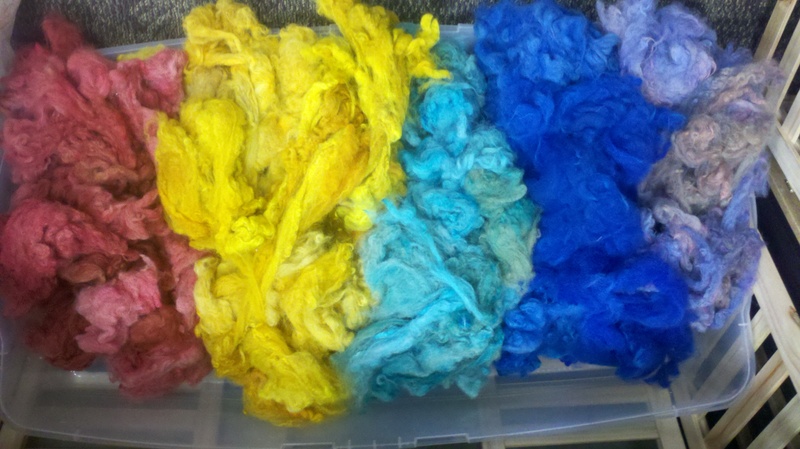 These artisans spin yarn from the fleece of animals on their farm. No artificial ingredients! Don't believe me? All of Fluffy U's yarn was labeled like this. 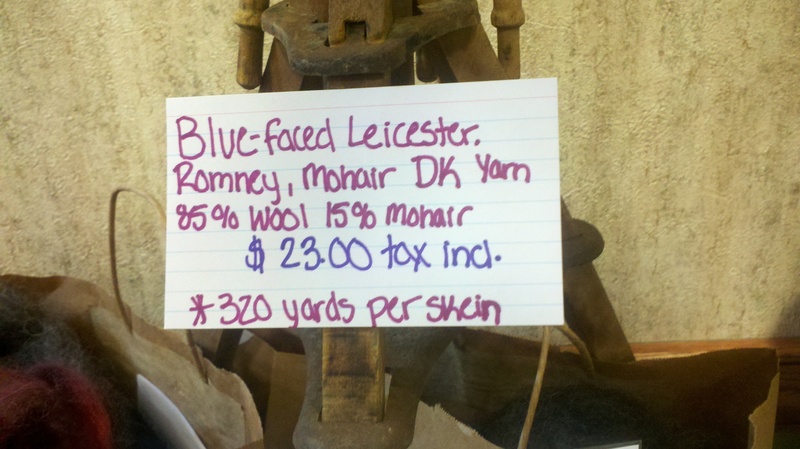 Personally, I love knowing exactly what kind of wool is in my yarn. 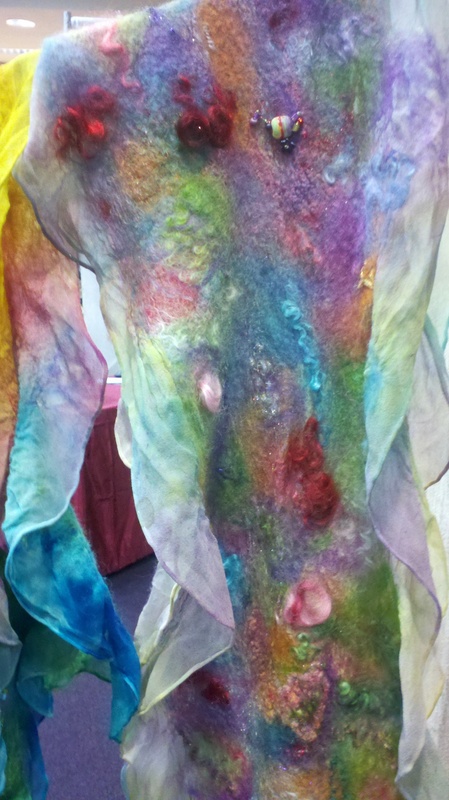 Dancing Leaf also had these needle felted scarf kits... wow! 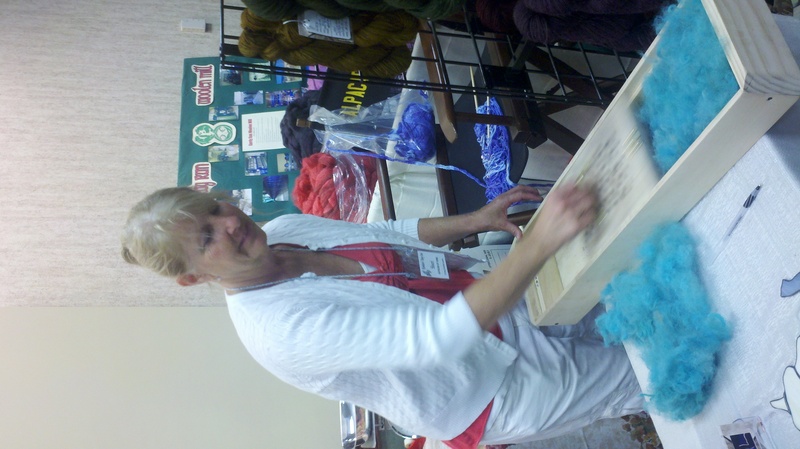 This is Sheri from AoY, carding some alpaca fleece. At least I think this is carding. I never saw it done like this before! Alpaca of York roving. Makes me want to attempt the spindle again. I also had a picture of Gerry from Dyed Bright Here, but for some reason I’m having trouble downloading it. 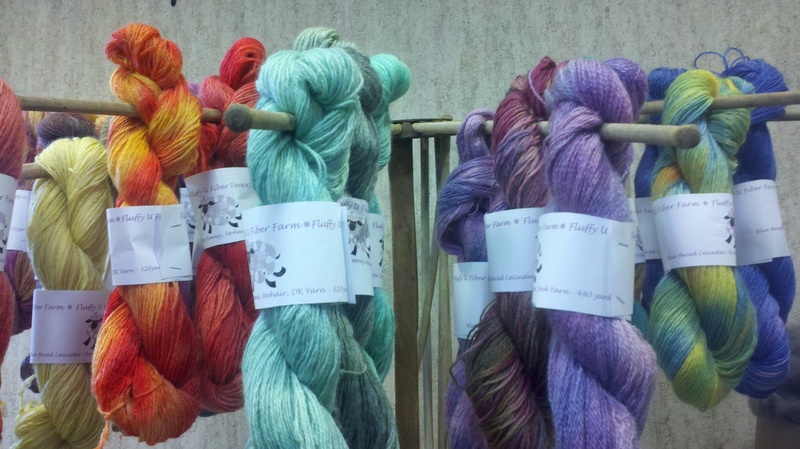 We chatted as she spun some beautiful pink and gray roving that her daughter dyed. 1:00 pm: 2nd class, Crochet for Knitters. 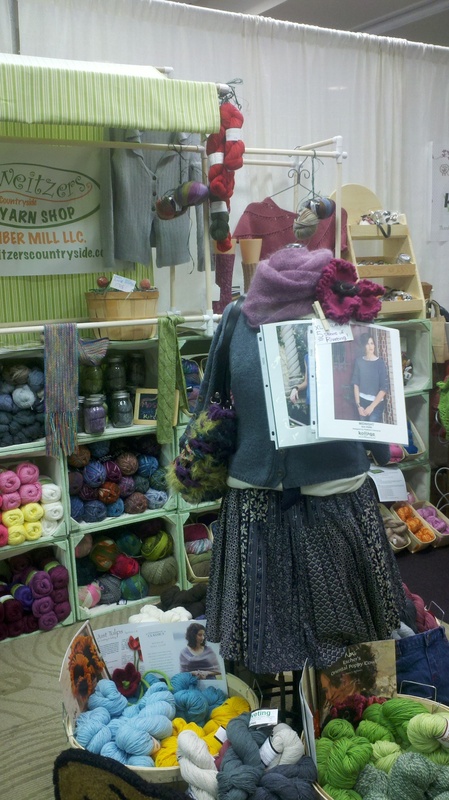 It was so nice to be in a room full of smart, talented knitters who, like me, knew NOTHING about crochet. Some of these crochet stitches were confounding at first, but I got a lot of practice during class, and I think I can single, double, and triple crochet with the best of ’em now. Not planning on giving up the knitting needles for a hook, but VERY glad I took this class! 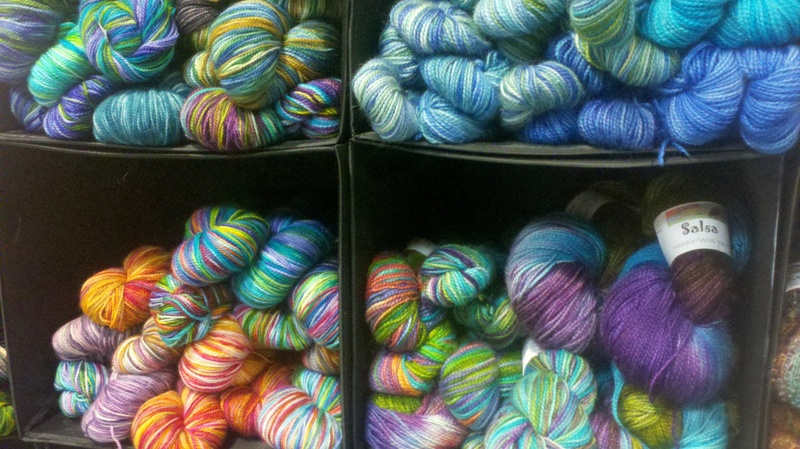 4:00 pm: One last stop at one of Central PA’s most revered yarn vendors to buy some sundries, then… home. All in all, a very successful KDO. Many, many thanks to the organizers for all their hard work and dedication to this conference – I truly hope they know how much they are appreciated. So yay! 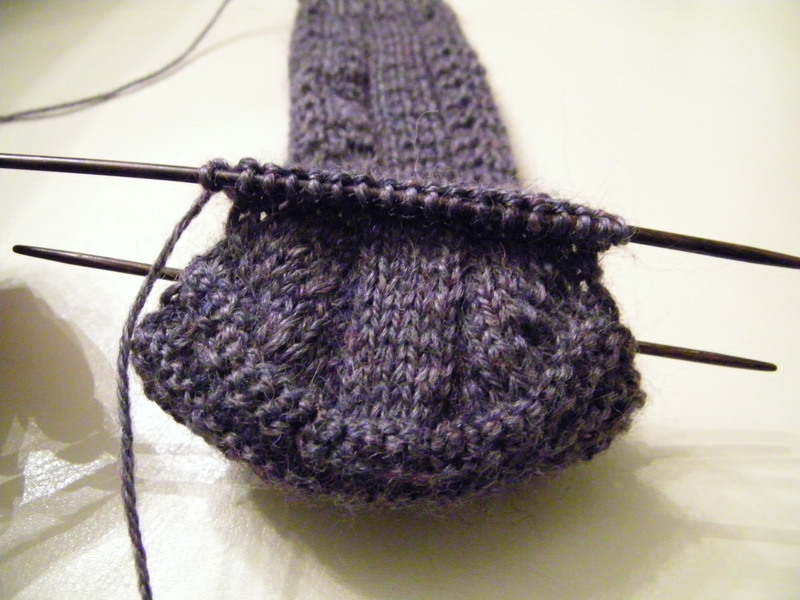 Moving on to the heel gusset… oh, and my Tilli Tomas Symphony Lace is on its way!